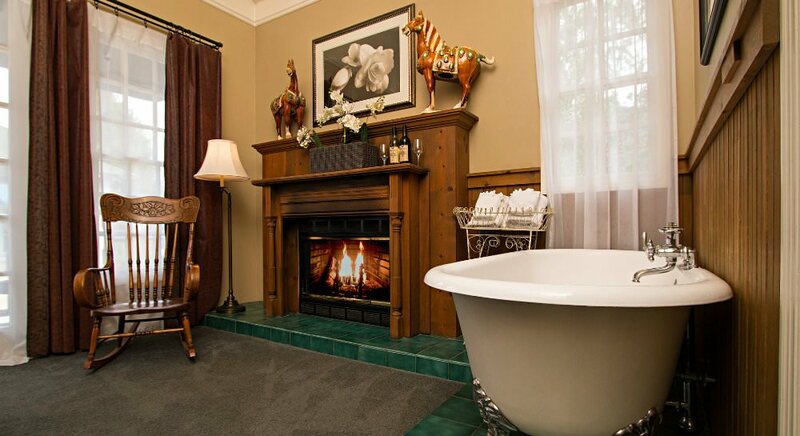 Large, lovely room for your complete comfort. 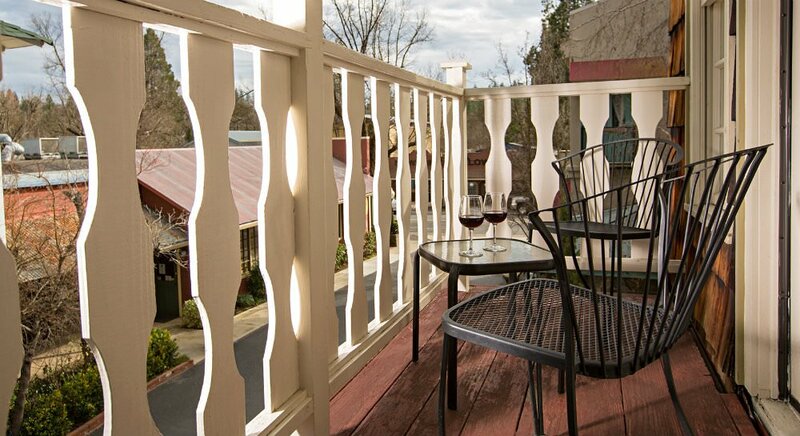 Beyond the comfortable queen bed is the door to the balcony. 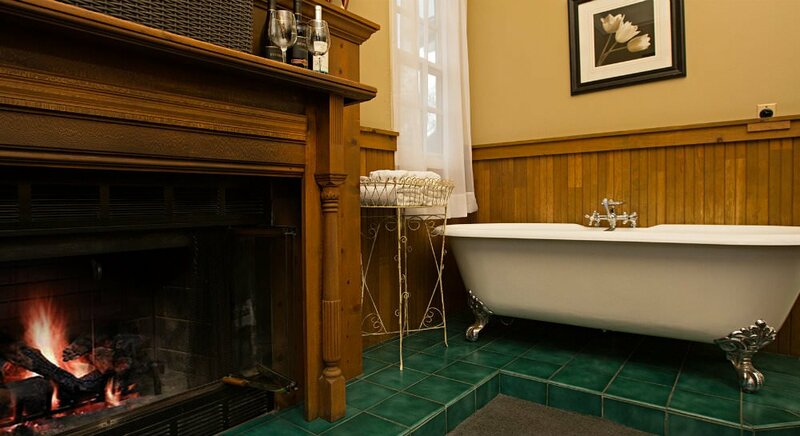 An authentic claw-foot tub for your relaxing enjoyment is positioned next to the antique-mantled fireplace, table and rocking chair. 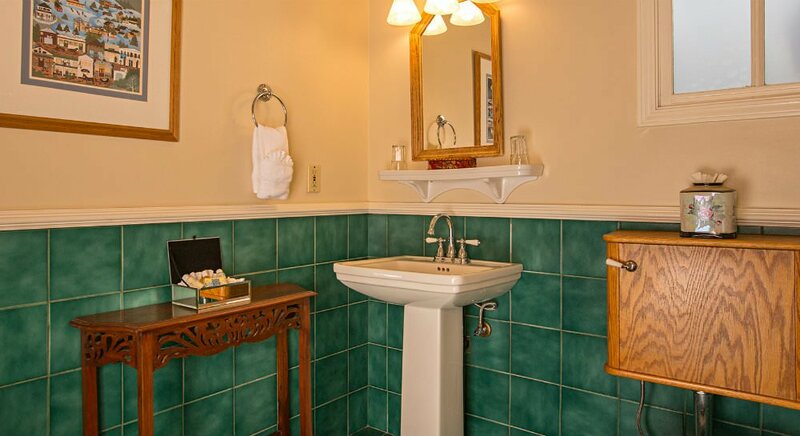 This lovely room has a full bathroom with large shower and pedestal sink.